Do not worry about your kid wanting a puppy while you don’t. 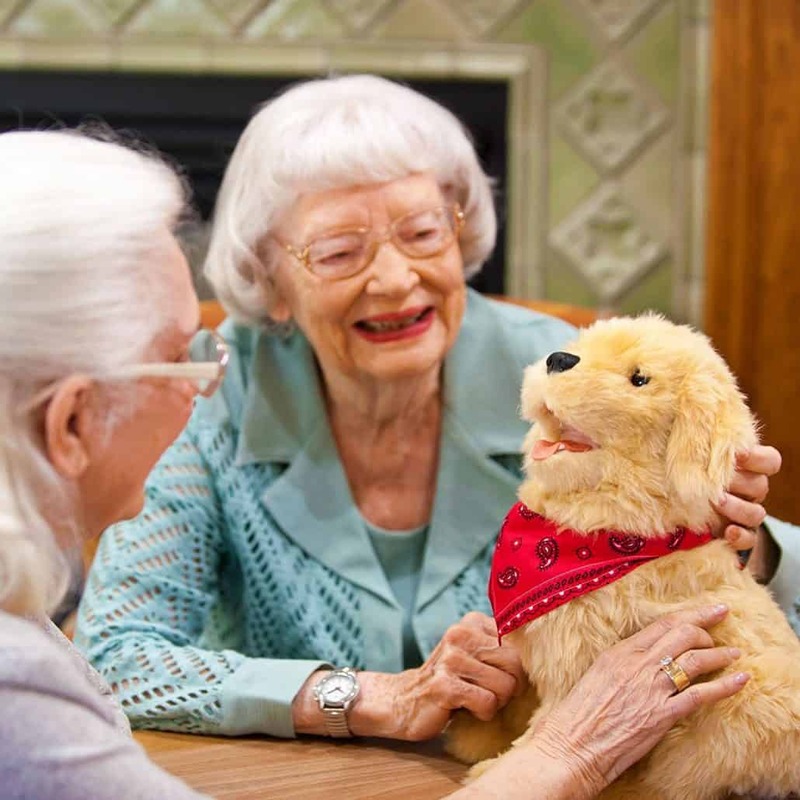 Instead, let them practice and understand how to handle and care for a puppy by giving them a robot dog. 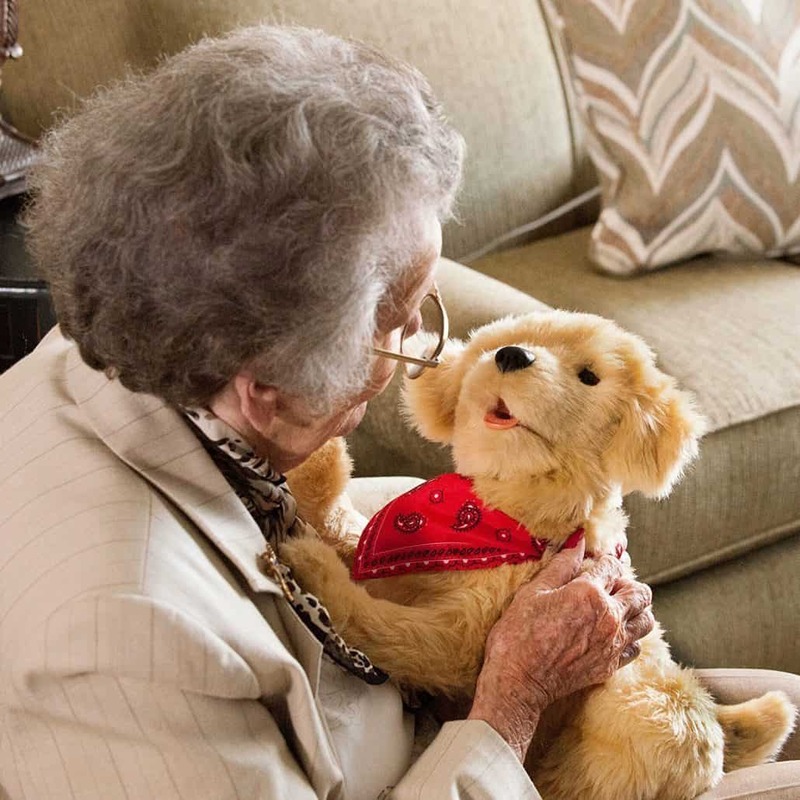 A robot dog mimics a real puppy- it can talk, interact with you, jump, and sit. 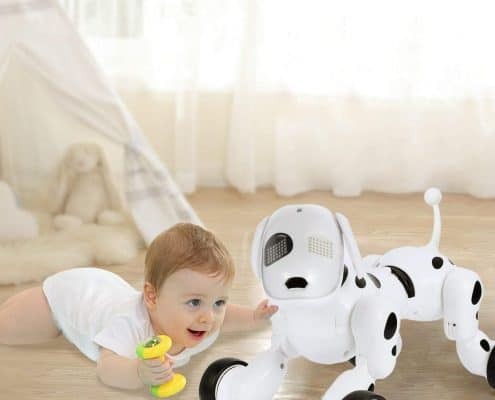 A robotic dog also responds to your commands and offer a real experience of having a puppy at home without having to deal with messes and feeding it. For kids and older adults, they are great toys that can entertain and attract. 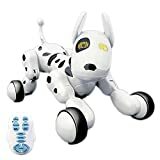 Below, we have compiled the top five best robot dogs list which we arrived at after scouring the internet for over 35 hours checking expert reviews, manufacturers’ details, specs, and comparing customer reviews. We used a certain criterion to arrive at this best five robot dogs list and here are the things we checked in each robot dog to determine whether or not they are quality and have what it takes to be among the best. So what are the best Robot Dogs this 2019 you ask? How realistic does it look, behave, and feel? How realistic a dog robot depends on how it feels, how it looks, and how it interacts with you when you hold it. A realistic robot performs exemplary well in all these areas. In fact, from afar, you might mistake it for an actual dog, and when you hold it, it should feel like a real furry dog. When you interact with it, it should respond realistically. Although some did not score 5/5 in all these areas, at least they performed well in most of the areas we felt most kids will be concerned with. With advancement in technology, soon we will have robot dogs that are 98% similar to real dogs. So, stay tuned we will keep updating this list to match the recent robots in the market. Below are important factors to remember during your search! 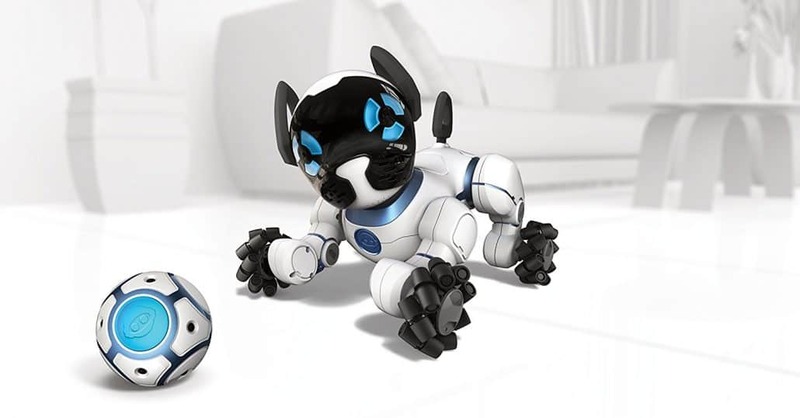 Robot dogs are innovative toys that are trending at the moment. Even though they may look similar, their technologies are quite different. Keep this in mind when buying a robot to make sure you settle for a robot that has an interactive design and technology. Check if it can move around, jump, and react by itself. Look for a robot that interacts accurately. 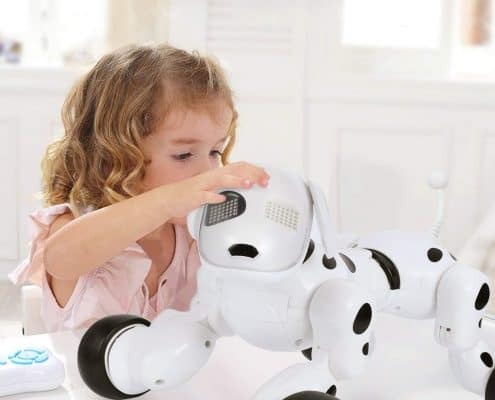 What type of robot dog do you intend to buy for your kid? Do you want a big one or a small one? These toys come in many types and sizes. Choose one that you know your kid will enjoy using. 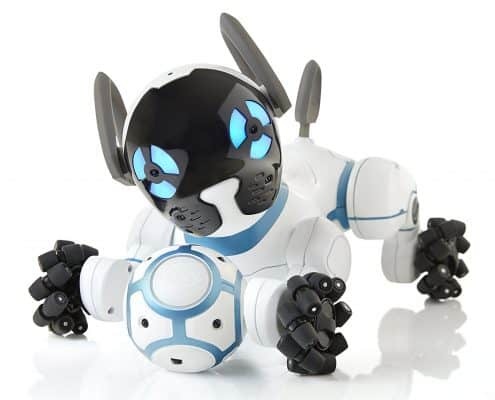 If you have a small kid, make sure to buy an easy-to-manage, small dog robot. Leave the bulky and large models for older kids. Also, check its design. Does it have an attractive, charming outlook that your kid will like? 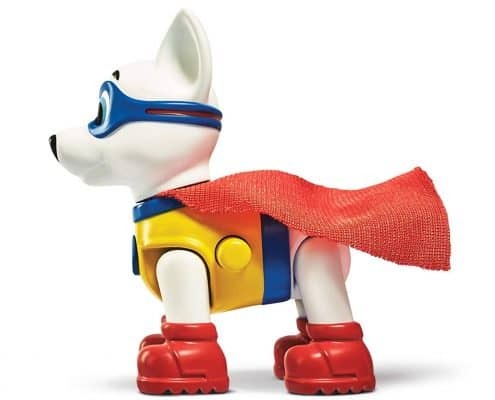 Make sure to choose a robot dog with colors and design you know your kid will like. 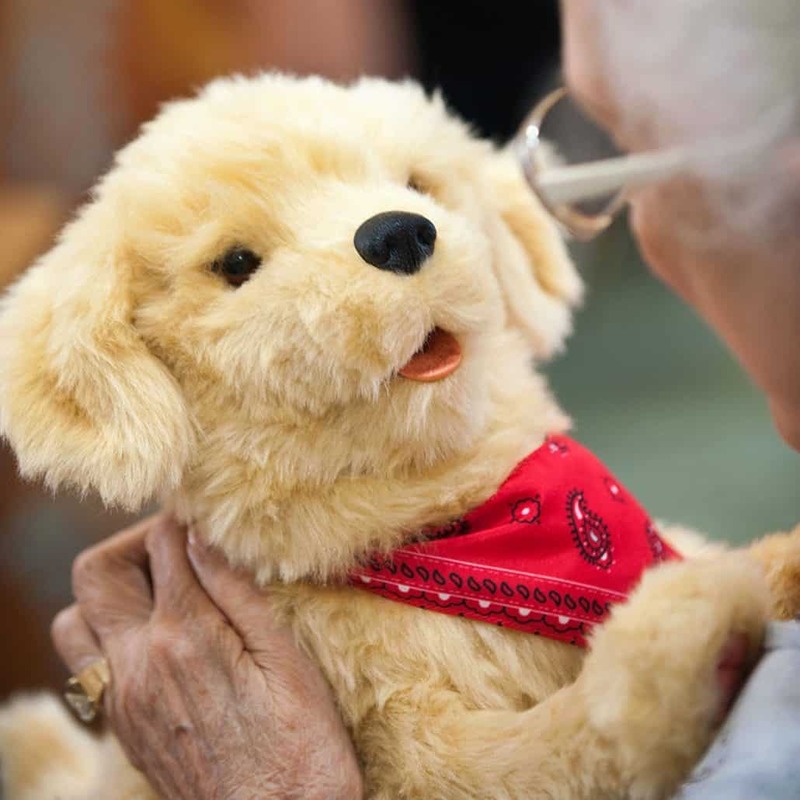 Even though robotic dogs are fun to play with, some toys can pose a health threat. Therefore, when shopping for a new robot dog, make sure they are made of quality, safe material. Ensure it has no irritants such as phthalates and BPA. The safety of your kid comes first. Finally, check the safety of its batteries. They should be placed in hard to reach areas. Robotic dogs can get a lot of abuse. Kids smack them on the floor and tear their parts such as ears and legs as they play. Therefore, to get a good value for your money, make sure to buy a model that is durable. The material used to make a robot should be quality and safe. The robot movable parts such as tail and legs should be snap-proof. Check reviews of previous customers to ascertain this. One of the most important things to check when buying a robot is how well it interacts with you. 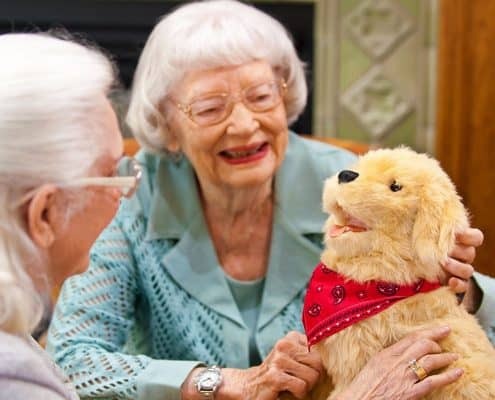 A high-quality interactive robot dog is a lot more fun as it offers a better companion as compared to sitting there doing nothing. As I have mentioned, we looked at how well a robot interacts with the owners in terms of touch, sight, and sound. The best dog robot does all the above things, and in terms of performance, it responds to being petted and rubbed and also reacts when it hears your voice by following you with its eyes. All the pet robots that made to this list had varying levels of interaction and performed better than all the robot dogs we tested. The kids’ robot dogs we have reviewed here have a lot of interactive gestures and features as they can dance, bark, sing, jump, run, and do a whole lot of other unique and funny tricks. Adult companion robot dogs we have reviewed here often react to sound and petting, and exude realistic gestures and features. Besides, their interaction is topnotch. No matter how durable or attractive a dog robot is and how many tricks it can do, if it is complicated to use, it will not be fun at all. 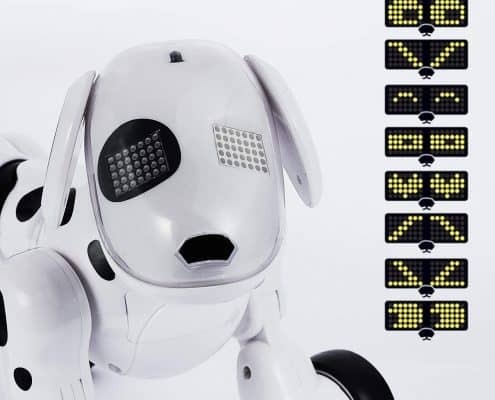 A robot dog that takes forever to train and understand commands will get a low score. 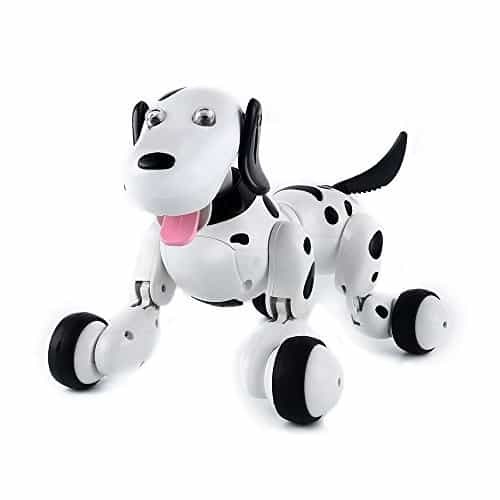 After all, what is the point of having a robot dog that cannot respond to voice and touch commands? Robot dogs that made to our top five list contained comprehensive and clear instruction manuals, and we spent a day with each of them to learn how they interact with people. If we noted a robot was struggling to move, bark, or run, then we eliminated it. Generally, a quality dog robot should be easy to use and come with a comprehensive manual and great customer support in case it runs into a problem. However, I need to point out something; remember to respect the age limit of a robot dog. If it is marked for 5-year and above, don’t buy it for your 2-year old kid as they will have a hard time interacting with it. On this one, we relied on verified customer reviews to know whether or not the robotic dogs that we had selected were durable. If we found out that several customers had reported about their robot falling apart or breaking after a few days, we cut of the robot from our list. 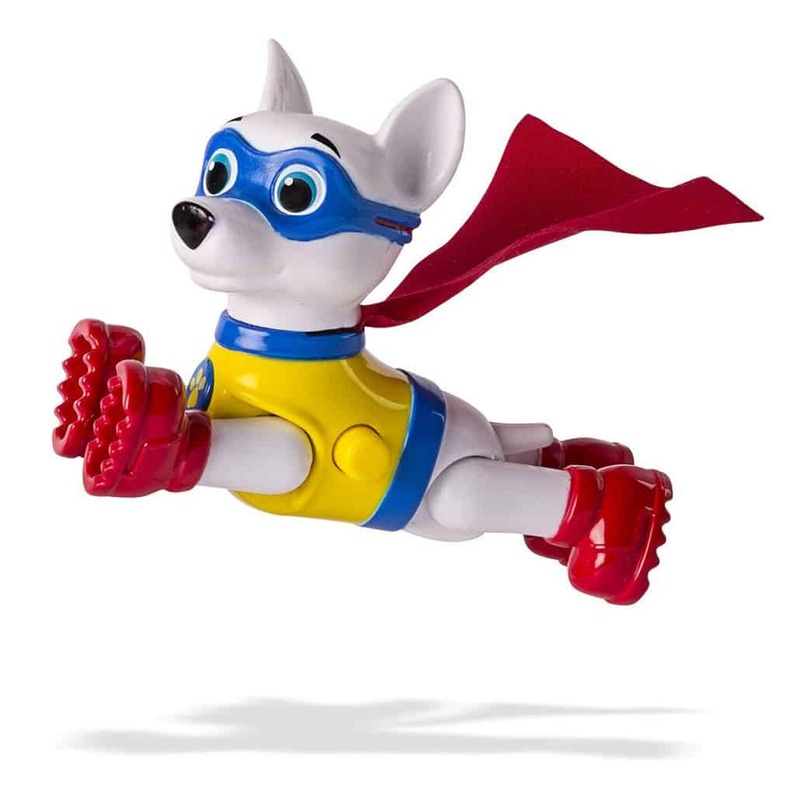 All the robot dogs we have reviewed here are durable and made of quality materials. The only thing you will note after some time are a few scratches. 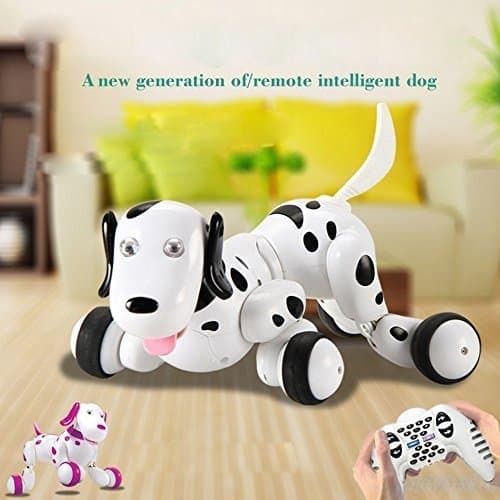 If you were to buy a robot dog, avoid the cheapest ones as mostly they are of low-quality. The might be appealing, but they don’t provide enough value for your hard-earned money. Here are the: "Top Five" best robot dogs today! As one gets older, they lose many things that we take for granted. One of the things is the ability to move quickly, read the menu without glasses or wake up with no achy knees. It’s the reason many seniors find it a challenging task to care of animals that bring the feeling of satisfaction and companionship. That’s where Joy for All Companion pet offers all seniors with benefits of having a real pet. But here, there are no responsibilities that can feel like a job to seniors. 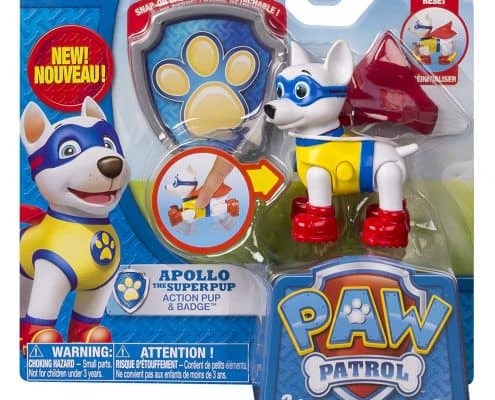 The good thing about this companion pet is that it has been made by a household name, Hasbro, which has been on the market for close to a century. It has even grown into a parent company of brands such as Nerf, Monopoly, My Little Pony, and Transformers among others. 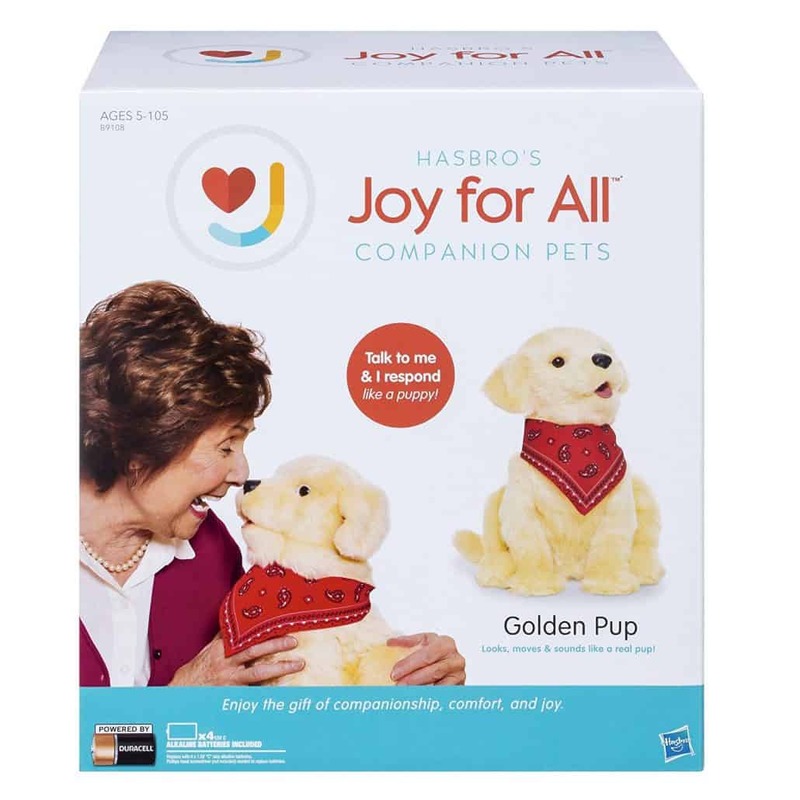 And now with this Hasbro’s Joy for All Companion Pet, they’ve introduced yet another exciting imagination aimed at bringing delight to us in later years. 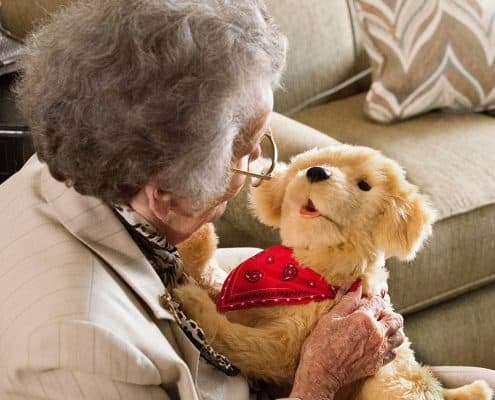 To begin with, the pet may look like a high quality stuffed animal, but on a closer look, you will begin to notice how first it can respond to touch. With four built-in sensors, this companion pet stays alive almost every time as it can come alive by just blinking eyes or moving ears. 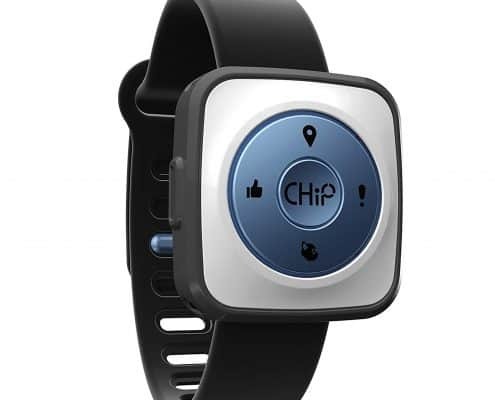 The sensors are strategically located on its left cheek, back, belly, and in the head. This means that when you stroke the pet on the cheek, it will nuzzle into your hand. You try petting the back, and it initiates a mild heartbeat sound as well as a sweet sensation that mimics the reaction of a real dog deceiving affection. 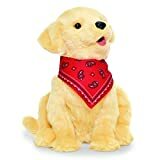 The dog takes after a Golden Retriever Puppy and has been outfitted with a jaunty red bandana that compliments the plush golden fur. You can also get a reaction by speaking to the dog. When you call out his name, the dog will face your direction and emit the sound of an excited puppy. As mentioned earlier, the companionship dog can’t behave exactly like a real dog. There is no litter box needed, occasional trips to the vet or regular feeding schedule. In fact, you only need to wake him back up when you need company when you need time to do other things, he will fall back asleep. Joy for All Companionship Dog comes with replaceable batteries that have already been installed upon purchase. However, you need to switch them on before first-time use. The companionship pet comes with a care pamphlet as part of package. You can use this to locate a flap of fur that is usually on the dog underside. On lifting it, you’ll discover an On/Mute/Off switch. Sometimes you may want to experience motions without sounds, and that’s where the mute button helps. When you want to store the pet, you can switch it off. The companion Pet requires just minimal care, that won’t feel like a job. It comes with a brush that helps in keeping its coat smooth. The pet companion responds to sounds with BarkBack technology. You may wipe the pet with a slightly damp cloth, but it should never be engrossed in water. As with other pet toys, you need to keep them on elevated surfaces to avoid becoming a nimble hazard to the seniors. 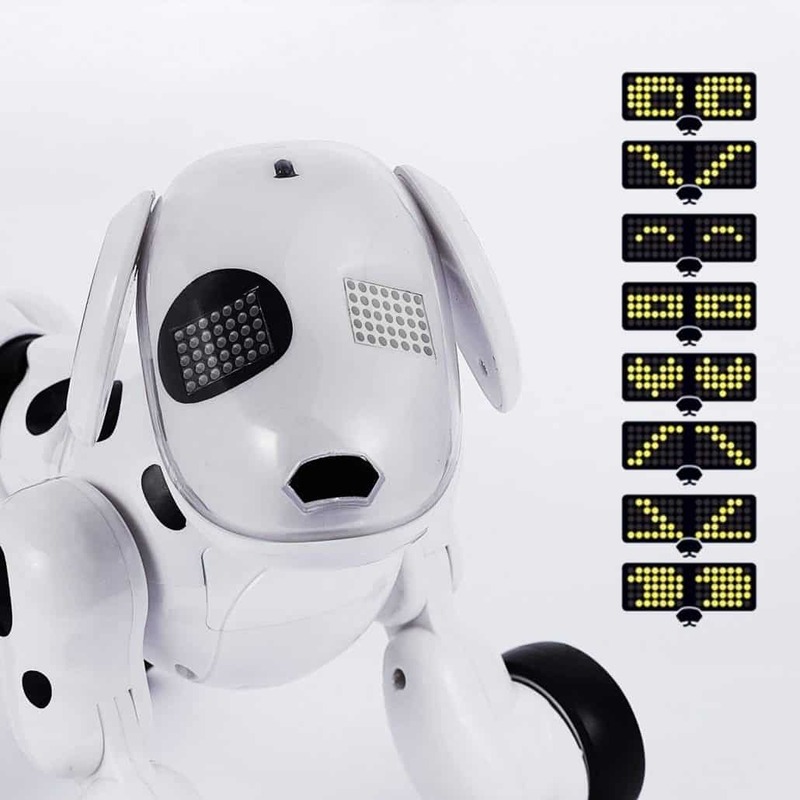 The puppy’s interactive LED eyes can light up and turn to multiple shapes based on the action. It’s in this companionship pet you’ll find modes such as sing, dance, study, fast and so much more. 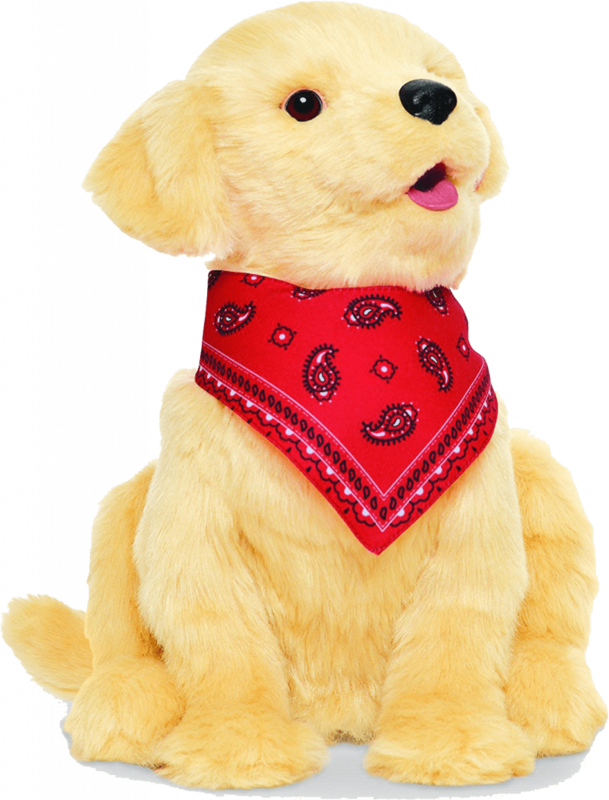 Reacts to your touch with puppy-like sounds and movements. Boasts a realistic coat, authentic sounds as well as an accelerated heartbeat. Responds to sound with BarkBack technology. Includes batteries and care guide. It includes the Exclusive BarkBack technology which offers a great response with realistic functions such as heart reactions. It has real features of a dog such as movement and coat. Did you know that kids who play more grow and develop better and faster than those who don’t? However, this doesn’t mean you let your kid play video games for most of their times. 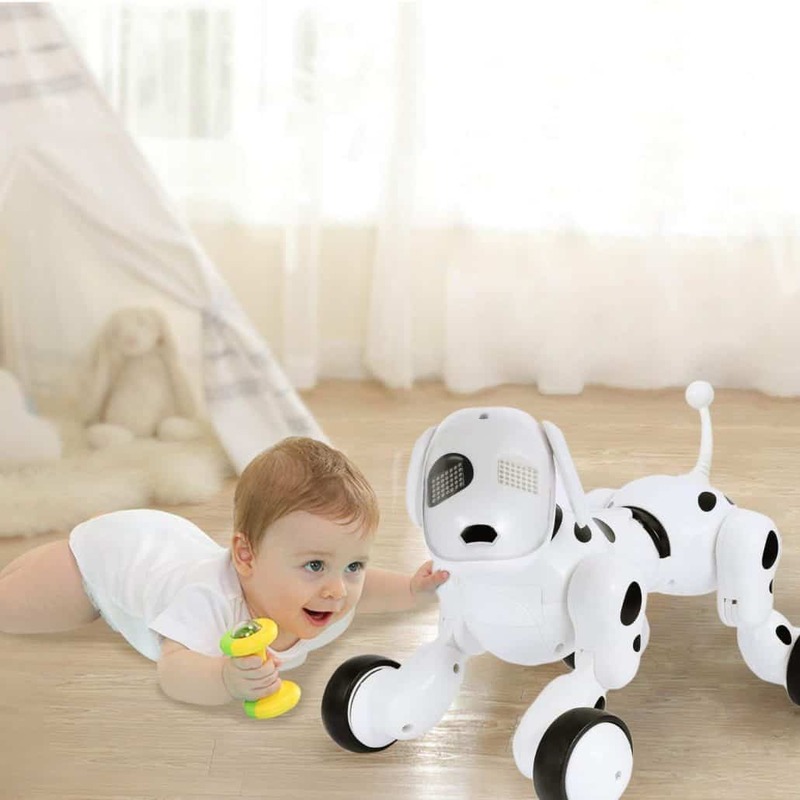 An interactive toy such as PLRB IR robot dog works best. It responds well to commands, speaks, and does tricks. You also get a puppy with natural, random behaviors and durable plastic shell. The quality of this toy dog is desirable. For instance, you get a toy with adorable behavior such as singing, jumping, dancing, and many impressive tricks that kids will like. 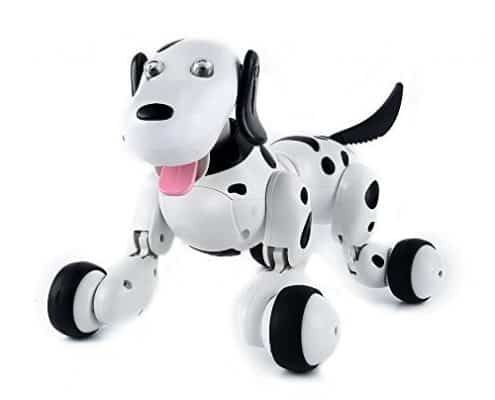 This interactive PLRB IR Smart Robot Dog is made of 100 percent safe plastic and has a durable design. Even if you have a kid that is quite rough, this product will serve them well. With a charming design that appeals to kids of different ages, you can be assured that they will love to play with it. It has the same size as that of puppies and also acts and moves like real puppies even though it is a toy. This is one of the best gifts you can give to kids. 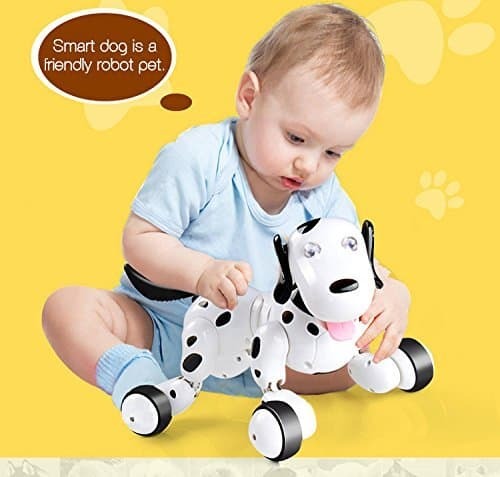 PLRB IR Smart Robot Dog is a popular toy on the market. 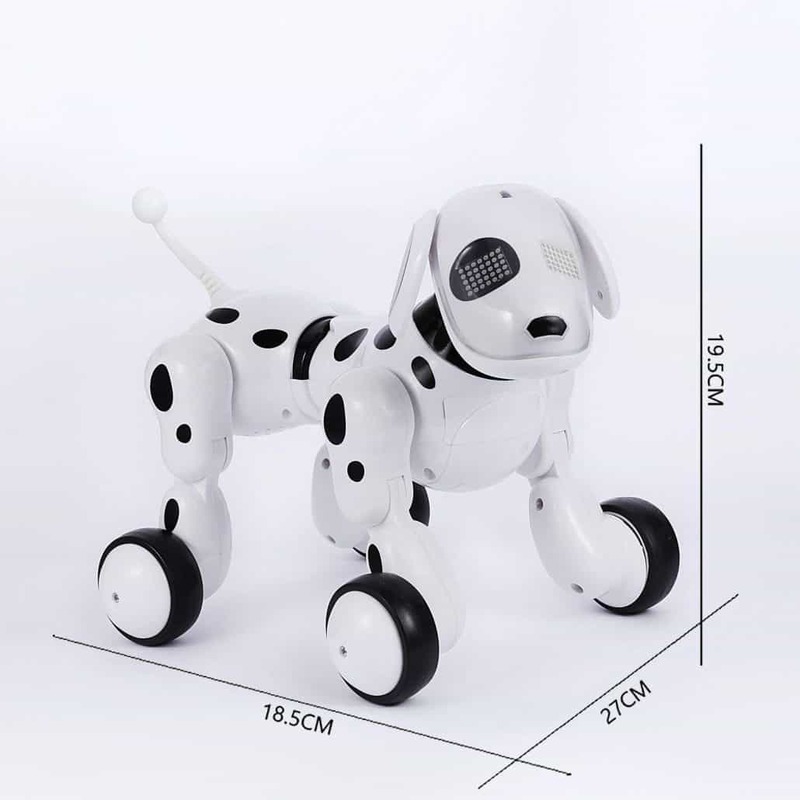 Even though it doesn’t have a much more striking design than many robot dogs in its price range and category, it has attracted many customers worldwide thanks to its interactive technology and durable material used to make it. 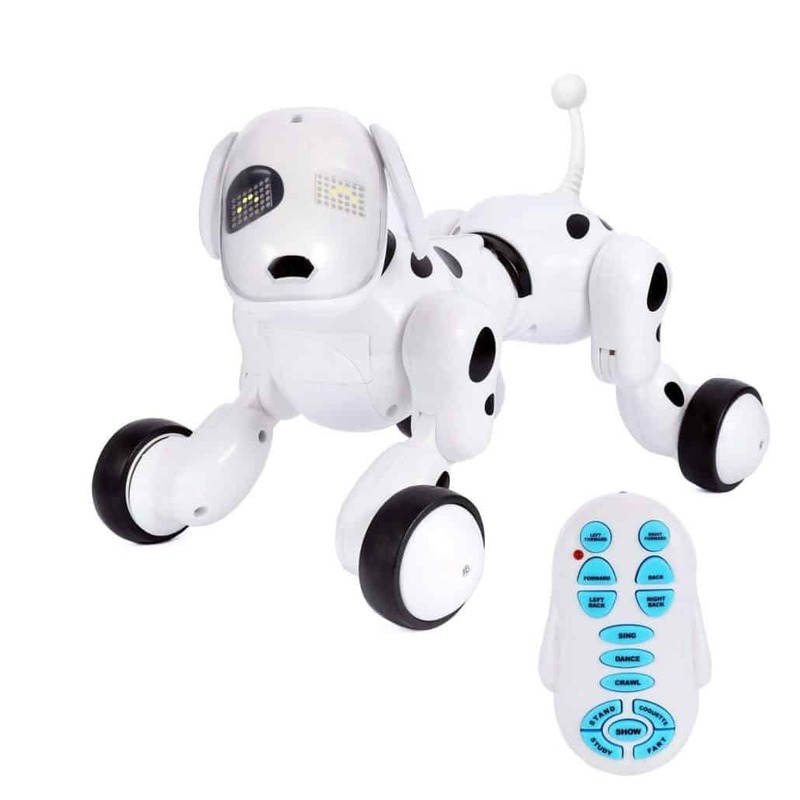 If you want a toy that will offer your kid a life-like experience, then PLRB IR Smart Robot Dog is the best bet for you. 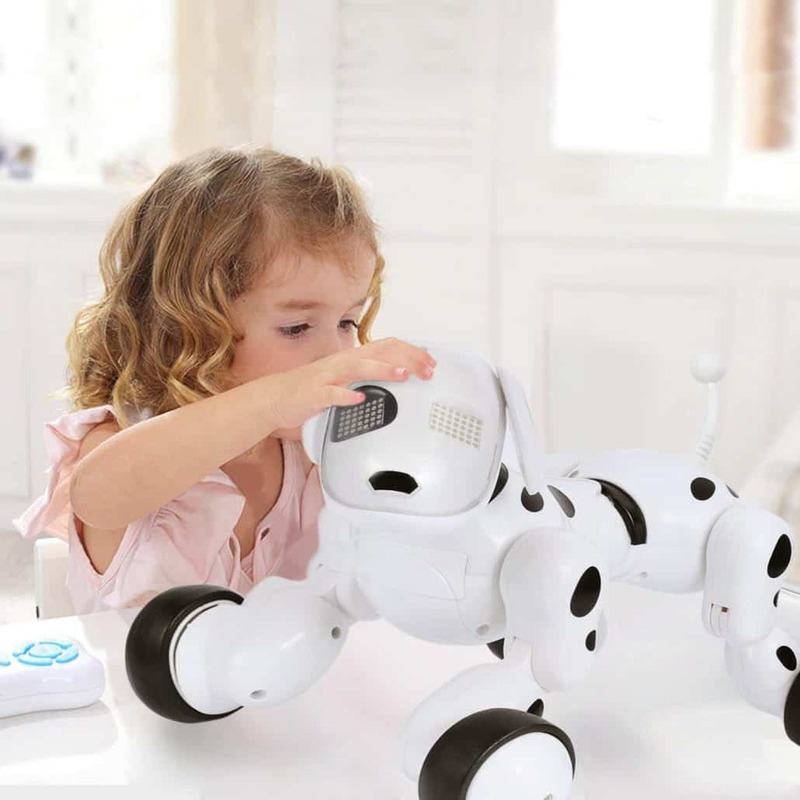 Just as the name suggests, this fun-looking and innovative robot dog for kids is a smart device that mimics a real puppy. Its propensity to keep children happy and engaged is invaluable. 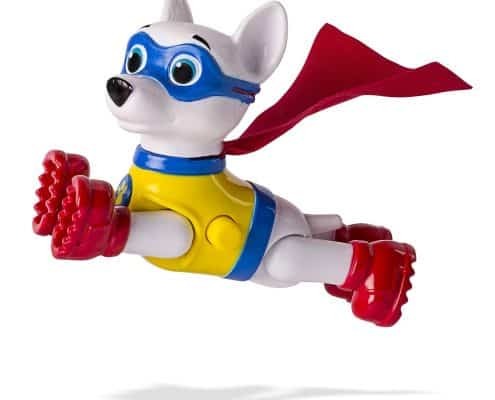 Unlike most brands, this robot dog comes pre-programmed and ready for use. All you need to do is to recharge its battery and bravo! You can play with it over a 50-ft range. 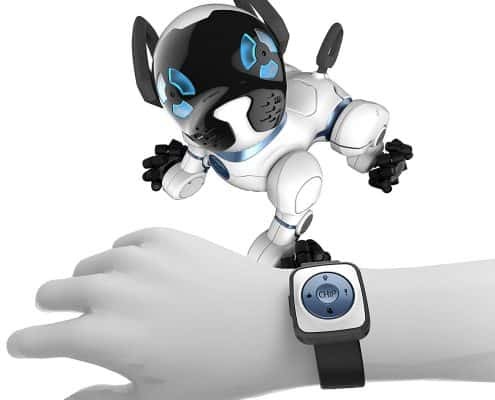 If you are having a hard time finding the best robot dog for your kid, SainSmart Jr. 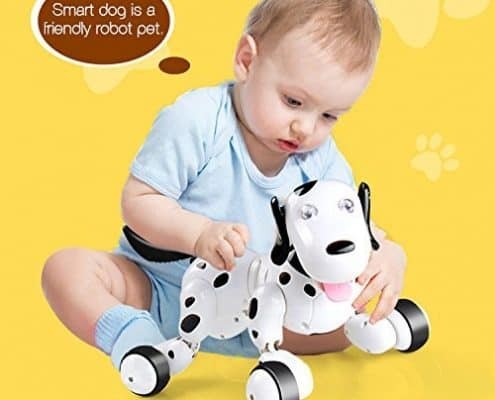 Robot Dog is a reputable toy that makes playing fun. As the name suggests, it has an interactive and smart design that enable it to perform many tricks. Once set, it can sing, dance, shake its head, walk, and wag its tail when excited. As compared to other dog robots, this smart dog robot has an impressive range. You do not need to have it close to you always as its 2.4GHz system responds well from a range of up to 50 ft. It comes with a powerful remote control that is durable and kid-safe. With a rechargeable battery, SainSmart Jr. Robot Dog is highly convenient. 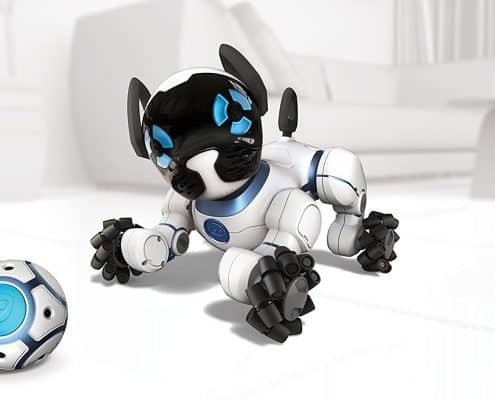 The battery is powerful and can sustain this dog for hours thereby giving your kid more time to play. And because it is inbuilt, the risk of your baby accessing it is slim. Finally, the battery recharges fast thanks to its fast-charge technology. 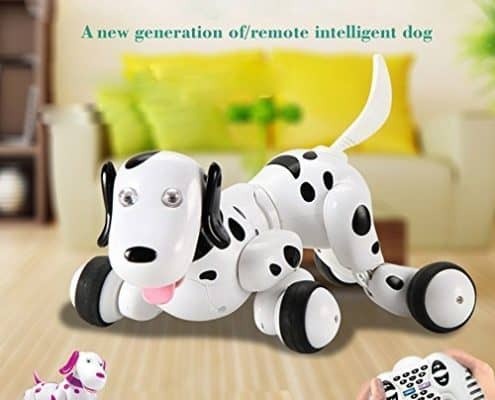 This smart robot dog is an ideal pet for all family members. Made of high-quality materials, it can last longer than other models. This robot is easy to use and comes pre-programmed. It has straightforward voice commands and comes with a detailed user manual. This robot is incredibly intelligent and comes packed with great actions that make you giggle. It can beg, roll over, dance, crouch, sit, and much more. The little pup has a free/demo mode which means it can roam around if you are not paying attention to it, just like a real dog and get itself in trouble. Its included remote has many buttons meant to make him do his tricks as well as move forward, backward, right, and left. 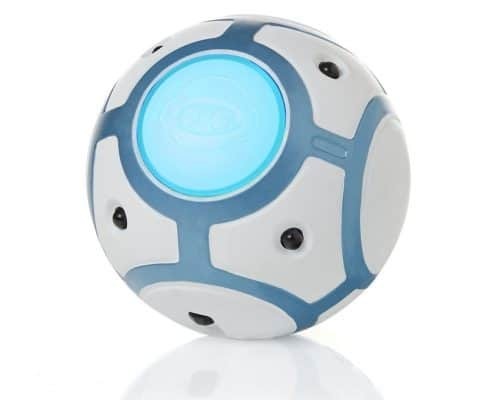 This little guy rolls around on omnidirectional wheels and can run on most surfaces. However, they have a difficulty running on thicker carpets. Traditional toys such as cars and dolls have served children well over the years. 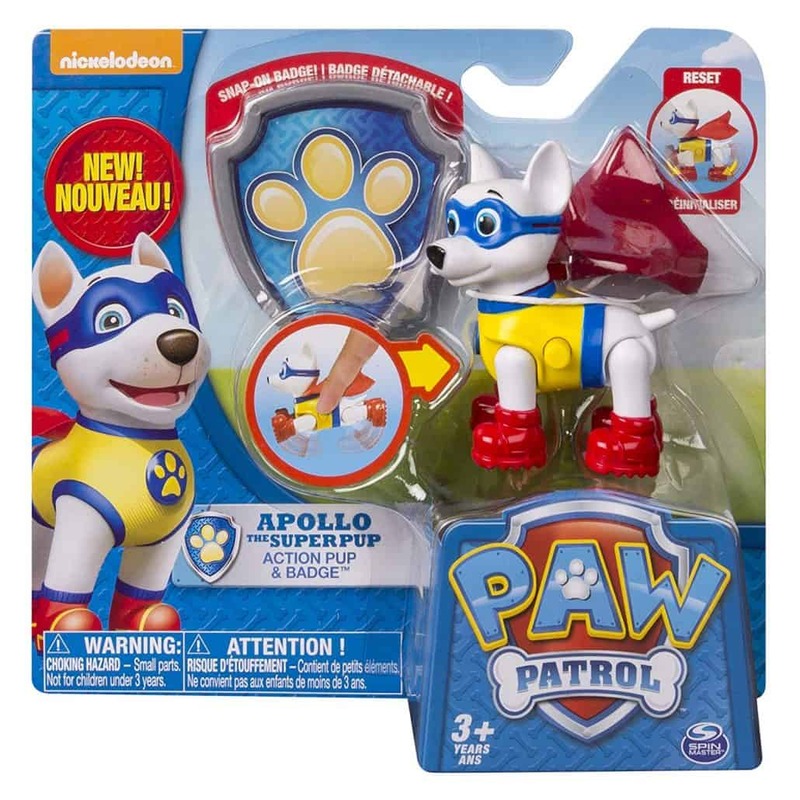 With the advent of technology, the demand for functional and advanced toys is high, and Paw Patrol has responded to this calls in a unique way. The Action Pack is among the best robot dogs in 2018 thanks to its durable body and kid-safe design suitable for kids aged 3+years. The robot dog only issue is that it is relatively small as compared to others in its category. If your kid has overgrown the car toys and doll sets, then it is time to transform her/his boring life into an action-packed and fun one by buying this robot toy from Paw Patrol. 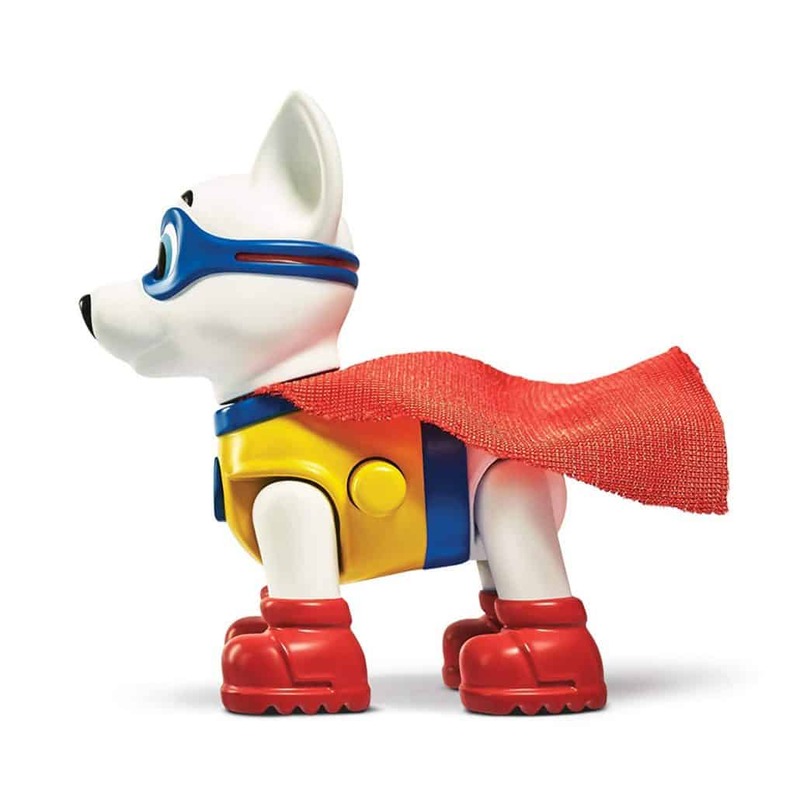 Liked for its high-quality, this robot dog has durable accessories. It has a simple, eye-catching design that appeals to both boys and girls. This is one of the most exciting robot dogs as it gives you an illusion of a real dog. All you need to do to get this toy up and running is by feeding it with enough power. 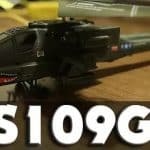 Its unique features make it one of the best toys on the market. This dog can walk, play, and even jump around. It is made of kid-safe materials and lacks choking hazards. Therefore, you do not have to monitor your kids whenever they are using it. This robot is fun to use and can transform into various shapes to appeal more to your kid. 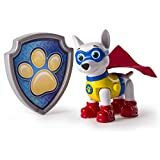 With Paw Patrol Pup and Badge, you will have a quality, durable robot dog at an affordable price. It does not require programming to function. 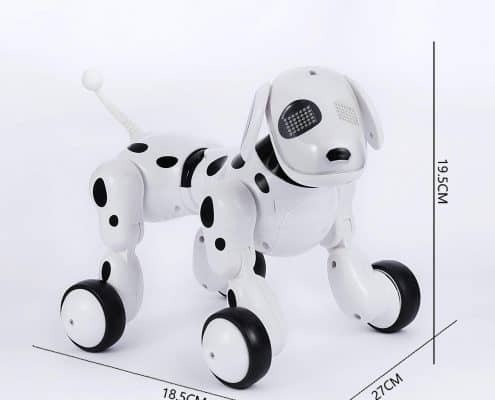 WowWee CHiP is one of the most respected brands in the robot field, and they are back again with a quality robot dog that has attracted a lot of customers. 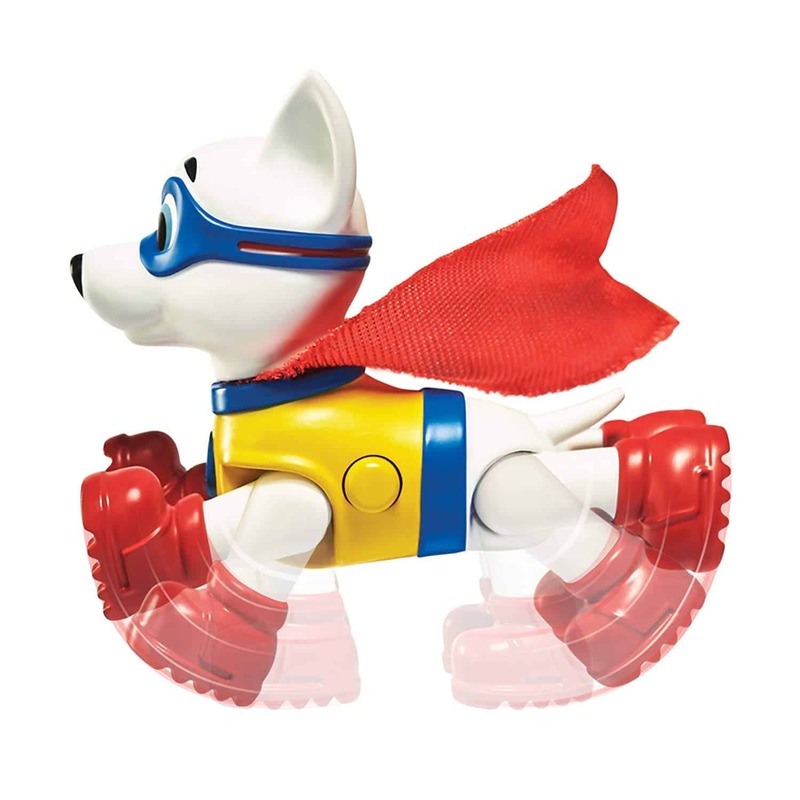 Although quite pricey than other brands, the value you get from this robot dog is exemplary. It has a premium design that appeals to most kids. 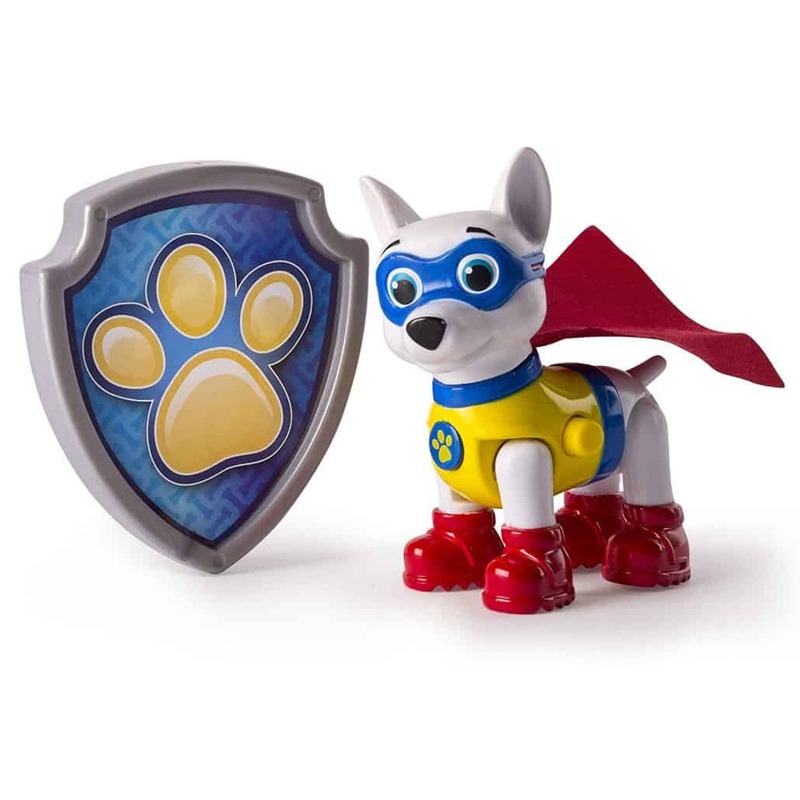 With a powerful CHiP technology, this toy responds quickly to touches. 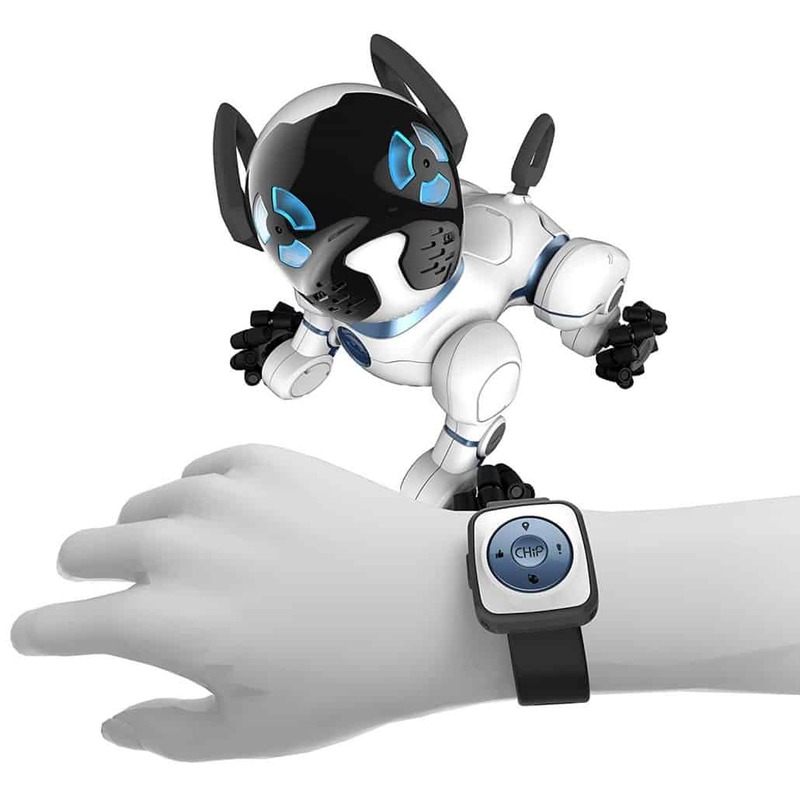 You can easily program and train your robot dog by using the CHiP app and SmartBand that you get for free. 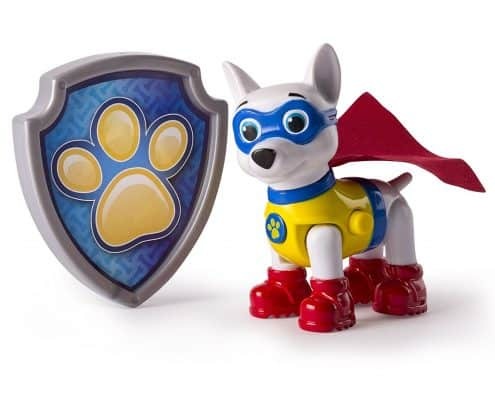 WowWee CHiP Robot Dog is a versatile toy that has a superior design. With an advanced SmartBand technology, you can make this toy do several tricks easily. It is battery-powered, and fortunately, its battery is powerful enough to last it for a long time. It also charges faster, unlike some models that take a long time to charge to full capacity. The best thing about this toy is that it doesn’t require manual charging; once its battery runs low, it goes back to its charging station automatically. It comes ready to use, and you do not need to assemble or customize it in any way. 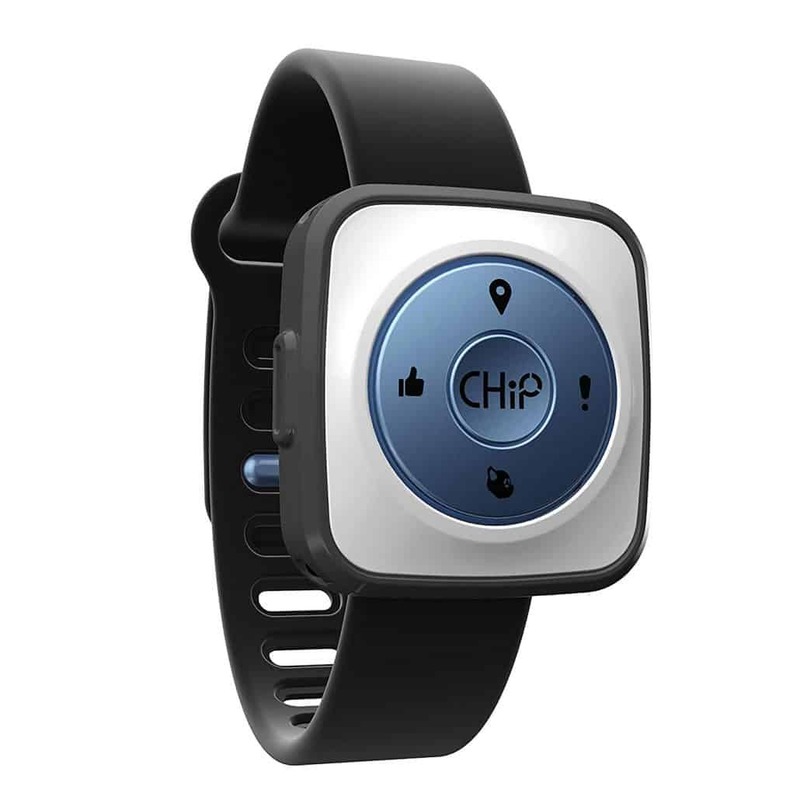 You can upgrade its chip to get other features and moves that its manufacturer releases. Even though it can make some sounds when moving as its legs are made of plastic material, its quality is commendable. 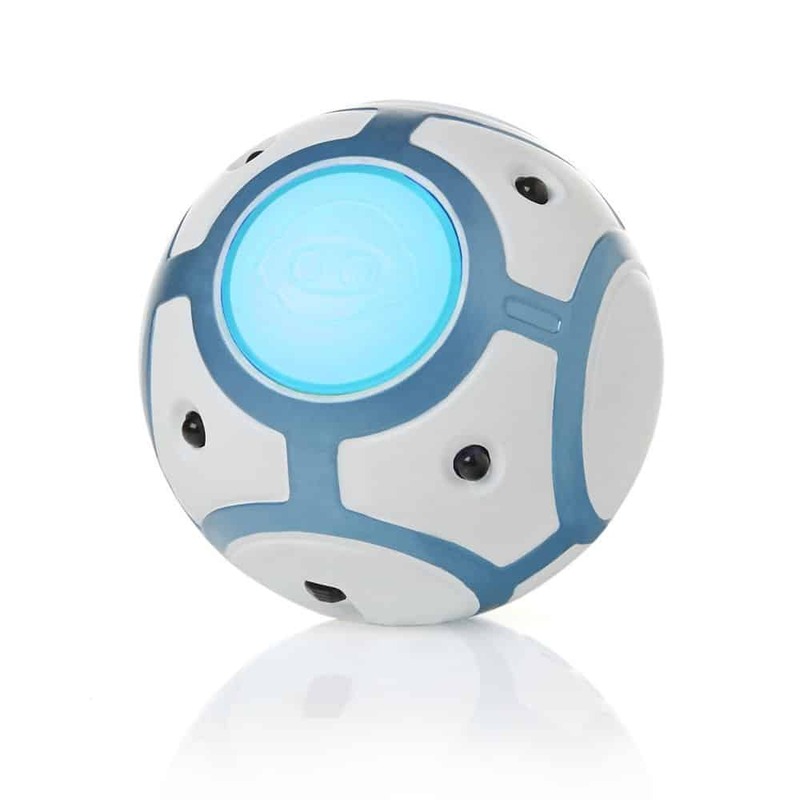 Powered by CHiP technology, this robot toy has a control range of 4-5 feet. It has safety features such as kids-safe construction and lack of choking hazards that can harm your kid. Robot dogs have been around for some time. 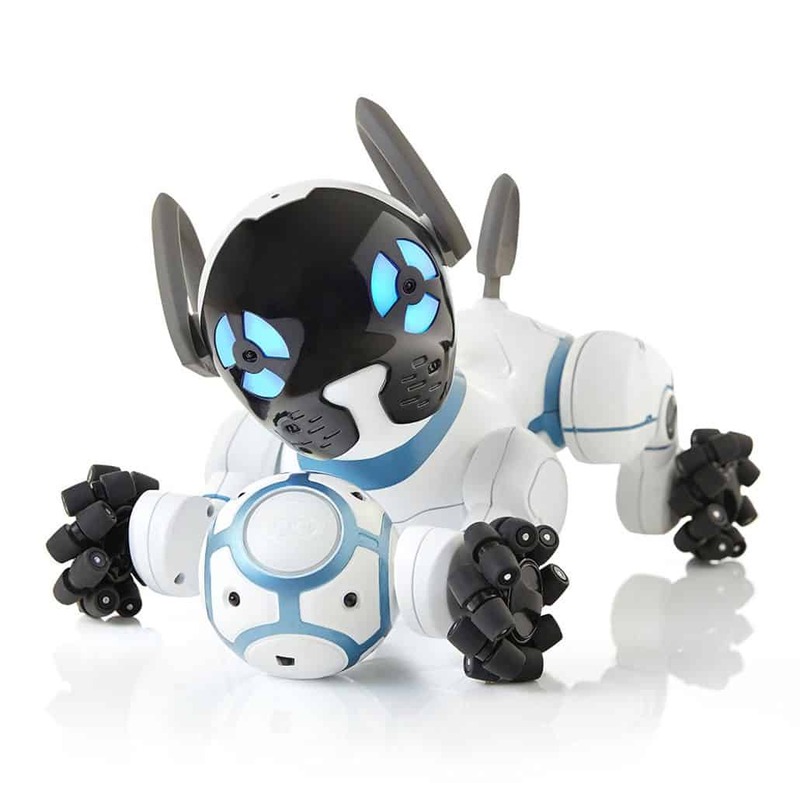 With advancement in technology, robot dogs’ movements and interactions have become easier and natural. Today’s robot dogs look more like a real pet.